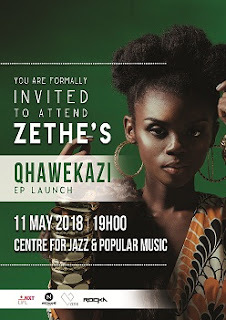 KwaZulu-Natal born songstress, Zethembiso “Zethe” Mdletshe, who shot to fame after winning the grand prize on the Vodacom NXT LVL TV show is back and ready to take-over the industry with her much-anticipated debut EP titled – Qhawekazi. After winning prizes worth R1 million on the TV show, the 24-year old Music graduate spent the past four months in studio working on this musical master piece consisting of five songs. Among them is her debut single called Zazi that dropped on April 25, 2018. Ready to give her fans a taste of her work of art, Zethe is set to tour her home province, KwaZulu-Natal from May 10, starting at The Jazz Joint. “I am so excited as I embark on this five-day tour that will enable me to share my experiences and the importance of self-worth. The EP really focuses on being bold and strong, the characteristics of i- Qhawekazi. I just want to plant that in everyone that listens to it especially during my electric live performances,” says Zethe. The official launch of the EP will take place on May 11, in an intimate event with local celebrities and media at the UKZN Centre for Jazz & Popular Music. The EP will available on all digital music platforms from May 11, 2018.